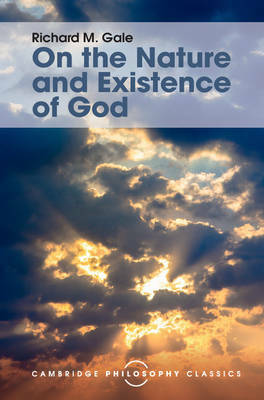 First published in 1991, Richard M. Gale's classic book is a response to and critique of new, contemporary arguments for the existence of God from analytical philosophers. Considering concepts including time, free will, personhood, actuality and the objectivity of experience, Gale evaluates the new versions of cosmological, ontological, pragmatic and religious experience arguments that emerged in the late-twentieth century. Presented in a fresh twenty-first-century series livery, and including a specially commissioned preface written by Paul K. Moser, illuminating its enduring importance and relevance to philosophical enquiry, this influential work has been revived for a new generation of readers.